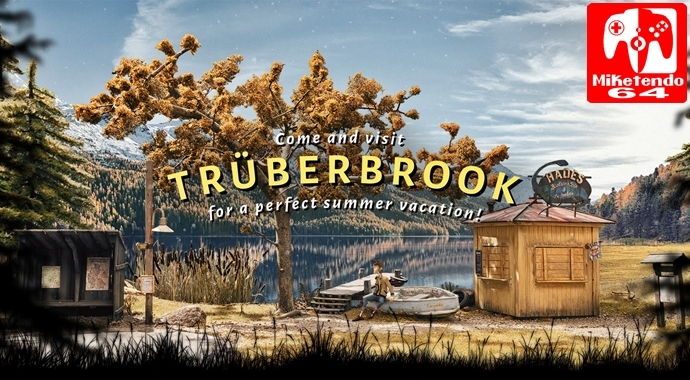 German adventure game Trüberbrook will soon be releasing on PC digitally in just a couple of weeks. April 17th will see the game release digitally on Nintendo Switch and other consoles with a physical release just two days later. Some more details about the game have been revealed by Headup Games including the intricate process of how they created the hand-crafted scenery. You can read the official announcement below. February 25, 2019, Dueren, Germany – Take a journey to the mysterious 1960s sci-fi world of Trüberbrook as the uniquely charming German adventure game is coming to PC digitally on March 12th. In April, console players will start their journey to Trüberbrook as well, it will be available for purchasing digitally on PlayStation™4, Nintendo Switch and Xbox One on April 17th. Collectors who would like to buy the retail version, which includes a 24-page long travel guide, can purchase it two days later on April 19th. With its superbly unique visual style, German charm, and a thrilling story of the likes of Twin Peaks and X-Files, Trüberbrook comes as a modern adventure game appealing to fans of the genre and everyone who like to see a fresh artist experience. The game was crowdfunded and reached its goal on Kickstarter within only 30 hours, amassing over $200,000 in total. Trüberbrook is a thrilling mystery-sci-fi adventure game. Enjoy an adventurous vacation to a 1960’s parallel universe! A Sci-Fi-Mystery Adventure Game with handmade scenery. Suspense! Mystery! Thrills! After all, it’s a single player sci-fi mystery adventure game. We want to keep you entertained!